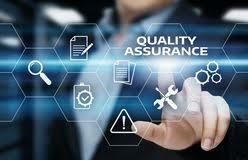 Quality Management System (QMS) consulting is an important aspect in the roll out of conformity. Our QM consultants are located in numerous countries so regardless of where you are situated, we can assist you. We are able to conduct a full assessment and effectiveness of the management system, key personnel and the implementation of QM Systems. We support and control the implementation of Quality compliance procedures (SOP’S), systems, manuals etc. We evaluate Customer service support mechanism and assist with the evaluation of customers’ service levels. We train and evaluate key personnel incorporating customer support function, level of training, frequency of training and education and assess the current utilization level, frequency and areas of improvement.